Spring Break 2017 is upon us, and I’m here to give you all the best advice on where to travel in Neopia so you can live it up. From the beautiful golden sun, to the polar-capped mountains, Neopia has it all. There’s a great destination for everyone. This tropical destination is definitely a fan favorite. Where else can you soak up the sun, play Beach Volleyball AND train your pet at the same time? Besides having all of these activities for your pet to play at, the waters are turquoise and the waves glitter in the sun. The lush greenery and variety in foliage makes it a beautiful scene to draw your Neopet and maybe enter them in the Beauty Contest with their new tan. They’ll be sure to win. Be sure to visit the Island Mystic for some wisdom before you depart. Maybe stop by the Kitchen Quests to see if you can pick up some tasty leftovers from that dashing Flotsam. Don’t think twice, just visit already! Who doesn’t fancy a trip to Faerieland? Spring break is the perfect time to visit, the clouds that surround the colossal mass of rock upon which it lays give off a beautiful scent. The flowers are all in bloom, and the Poogle Races are fun to watch. If you’re wanting to make it a spring break to remember, definitely wade into the Rainbow Fountain if the Fountain Faerie grants access… your pet will leave looking brand new. Who needs a manicure when you can get painted Maraquan? Trade in your toes for a tail. If the Wheel of Excitement gets you a little too excited and you get injured, stop by the Healing Fountain for a chance to get fully healed, for free! The Faerie Caverns have become a beautiful spot for photos, and if you crave the city night life, stop by Faerie City. The bookshop and furniture stores are perfect places to get some new faerie-related items that can’t be found elsewhere. 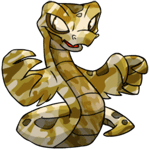 On your way out, get a brand new petpet, I recommend the Faellie! This is a MUST. If you’ve been living somewhere like Lost Desert where it is hot 24/7, I highly recommend a trip up to Terror Mountain. The skiing is lovely at this time. You must get a fresh Slushie from the shop, and some ice cream from the friendly Mr. Chipper’s cart. Get a scratch card before you enter the ice caves. The glittering ice will be blinding at first, but take your time to let your eyes adjust. The Neggery is a popular stop for visitors and locals alike. The ice crystal shop has the most beautiful things for sale. If it’s on your bucket list to visit the Snowager…now is the time. Let this be a spring break to remember. Hopefully you don’t get eaten, though. Before you exit to the top of the mountain, layer up. It’s cold! The snow is often falling and anything wet will freeze. If it’s a nice day, we suggest you stop at the Super Happy Icy Fun Snow Shop for a tasty frozen treat. Watch your step as you make your way to popular games such as Dar-Blat!! !, Snow Wars 2, and Snowroller. This hidden gem of Neopia is hard for many to get to, unless one is painted Maraquan or you have a scuba suit. Maraqua’s colorful seascape is appealing to many and so beautiful with the lush underwater greenery. On your way in, you must stop by Kelp. It’s a place you better be prepared to spend! Notable locations to visit are Jubble Bubble, Petpet Plunge, and the sea shell store. This is a must do if you crave that ocean life and can’t get enough of the sea. We’re getting tired just thinking about all this travel! Thankfully we get to go on our own spring break soon. Now, back to the travel guide! Another island destination ont his guide because after all, it is spring break and that means a lot of fun under the sun! You may get lucky here with Buried Treasure or the Smuggler’s Cove. But it’s important to keep track of your personal belongings here… the place is swarming with pirates. They’re mostly friendly, but trust no one. No offense to any Pirate Neopet reading this. The Academy is a hot spot on the island, with all the richest trainers bringing their beloved Neopets to level up and get stronger. Warf Wharf is where you can get the latest Island fashions or place some bets at the Food Club. This is the place to go if you’d like a quiet escape into the isolated waters of Neopia. The final destination on the tour guide is the dreamy land of Shenkuu. This mystical city was only recently founded, as it has been a hidden gem for centuries. This merchant town is built up in the clouds and mountains and is truly a sight to behold. All your friends will be jealous of this vacation, wishing their spring break had been just as cool. Noda’s Fortune Cookies are among the most popular in Neopia and they are a must-have. There are plentiful games here, games that make you think like Kou-Jong. After all of that brain work, a good meal is in order. Chef Bonju will take care of you. Make your way to the Lunar Temple for the view of a lifetime, I promise it will be worth the uphill climb.